For the second time in UMass tennis history, the 2016-2017 Women's Team won the Atlantic 10 conference! What is especially notable about this win is that they upset VCU in Judy's final season as the UMass Tennis Coach. Ways YOU can support the UMass tennis team! 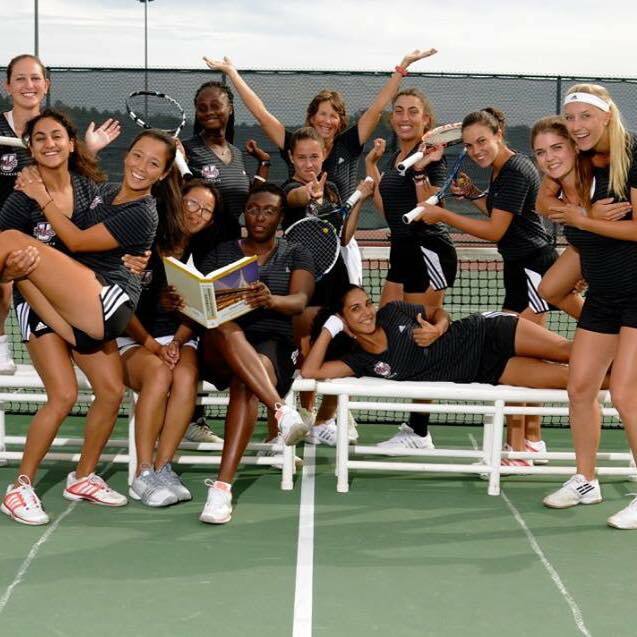 Join the Friends of UMass Tennis and learn about opportunities to support the team - watch matches, attend Round Robin competitions with members of the tennis team, and receive team updates. For more information, contact George Forman at geforman@gmail.com. Join us at our home matches outdoors at UMASS and indoors at Bay Road Tennis Club.